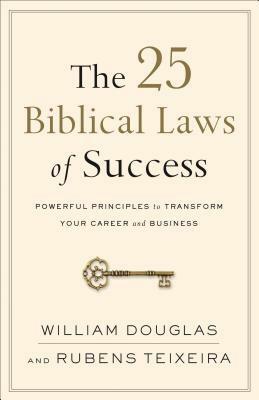 Anyone who wants to succeed in a career or business will benefit from The 25 Biblical Laws of Success. William Douglas is a federal judge in Rio de Janeiro, Brazil, a university professor, a popular speaker, and the author of thirty-five books, including the Brazilian edition of The 25 Biblical Laws of Success, with over 250,000 copies sold. He is part of Educafro, a Brazilian organization working to prevent racial prejudice and promote equal opportunities, and is the entrepreneurship coordinator for social projects for United Missions, part of the Brazilian Baptist Convention. He is also part of the Brazilian Evangelical Academy of Writers. Rubens Teixeira is former CFO of Transpetro and an analyst for Central Bank of Brazil, as well as a professor, writer, and frequent panelist. He was honored with the National Treasure Prize for his PhD thesis with proposals for the Brazilian economy and is the author of How to Succeed When You Are Not the Favorite. He holds a civil engineering degree and a masters degree in nuclear engineering from the Military Institute of Engineering, a law degree and PhD in economics from the Federal University of Brazil (UFF), and a military science degree from the Military Academy of Agulhas Negras. He is also part of the Brazilian Evangelical Academy of Writers.